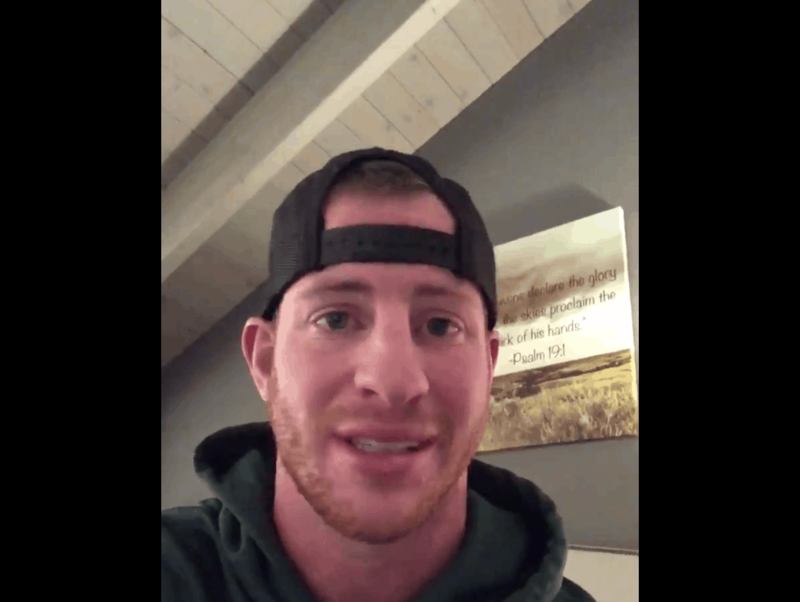 Philadelphia Eagles quarterback Carson Wentz took to Twitter last night to fill in fans on his recovery and share his perspective on the ACL tear he suffered in a game Sunday against the Los Angeles Rams. It’s humbling to know how many people are praying for me. I know Jesus has a plan through it. He’s trying to grow me in something, teach me something, use me somehow, some way. This will be a great testament going forward. I can say with 100 percent confidence as a follower of Jesus that I have the utmost confidence in His plan. His plan is perfect. If we got everything we wanted in life, it would be a disaster. He knows what he’s doing. Wentz went on to say he’d stay with the team going forward for the rest of the season, and that he trusts the Eagles to continue accomplishing their goals for the season beyond the NFC East title they secured on Sunday. He thanked everyone for their prayers and words of encouragement, too. You can check out Wentz’s full statement here.